Leading with Thanks: Up for the Challenge? HomeBlogCorporate CultureLeading with Thanks: Up for the Challenge? Arguably one of the most powerful words in any language, to soften hearts, reduce conflict, and increase productivity. How often are you cultivating Thanks in your organization? People who feel appreciated, perform better. Positive feedback about what you want more of, gets you more of it. 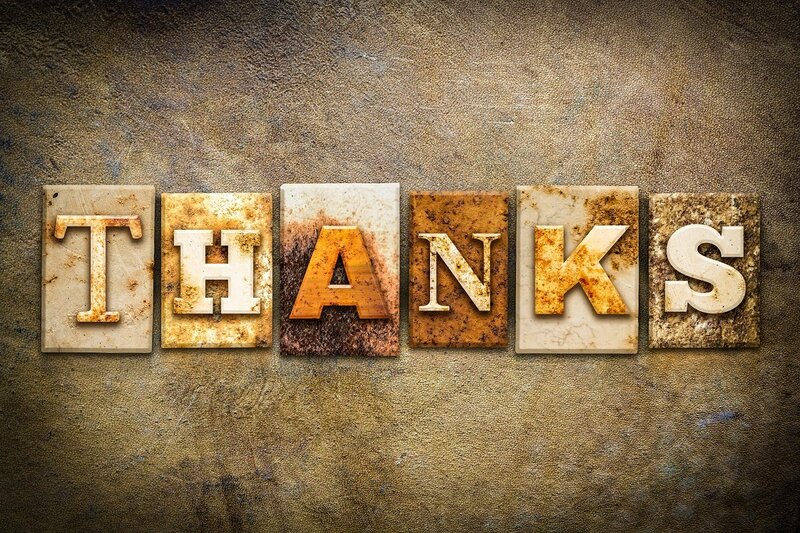 Pausing to feel and express genuine “Thanks” – reduces stress and increases well-being. Thanksgiving was proclaimed a holiday in October 1789, by George Washington. Many opposers stated it was not the federal government’s role, but that of the state – and proclaiming it potentially violates separation of church and state. As a smart leader who understood compromise, Washington signed the proclamation and encouraged (not demanded) states to proclaim it as well. Almost 100 years later, Abraham Lincoln paused in the midst of the Civil War on October 3, 1863, to make Thanksgiving a true national holiday. Arguably one of the greatest leaders in history, Lincoln used the state of conflict and strife to remind people what to be grateful for, and their common purpose. “In the midst of a civil war of unequalled magnitude and severity, which has sometimes seemed to foreign States to invite and to provoke their aggression, peace has been preserved with all nations, order has been maintained, the laws have been respected and obeyed, and harmony has prevailed everywhere except in the theatre of military conflict; while that theatre has been greatly contracted by the advancing armies and navies of the Union. In lieu of recent events in the United States, a deeply appropriate theme. Many CEO’s agreed, issuing words of unity on the day following our controversial Presidential election. Teaching the young – In stories retold, each generation brings purpose and significance to the richness of their heritage. Faded pictures, sentimental knick-knacks; for some, the prayer before the meal. Thanksgiving (until Black Friday took over) is a holiday of sharing traditions and symbolizes family. It’s time to stop lamenting differences and faults of the younger generation, and get busy teaching them to lead better! Opening the heart in gratitude and service. By “giving-thanks” we choose to extend ourselves and give to others less fortunate. Out of the abundance of our hearts, we are able to offer our resources to help others. How are you as a leader, expanding your generosity of heart, to include those in your organization who want to succeed, but are struggling? Think of who helped YOU rise in your career, and take a moment this week to identify someone or (ones) who could benefit from your guidance, compassion, patience. Here’s wishing all who celebrate, a wonderful Thanksgiving. May your thankful heart be grateful.